Bring style and comfort to your garden or patio with Zak's Furniture's selection of versatile outdoor furniture. Choose from dining tables, lounge chairs, sofas, occasional tables, umbrellas and more to make outdoor living easy. Come see why Zak's Furniture is the best place to shop for outdoor in the Tri-Cities - Johnson City and Bristol Tennessee area. 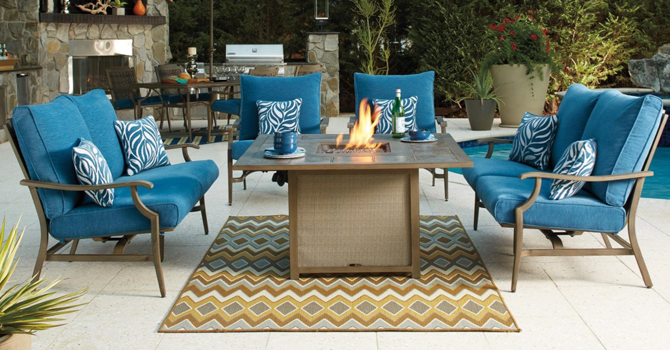 Zak's Home offers a huge selection of outdoor furniture and patio furniture at great prices. Zak's Home is the best place to shop for outdoor & patio furniture in the Tri-Cities, Johnson City, Tennessee area. Zak's Home is conveniently located for outdoor furniture shoppers in Tri-Cities, Tennessee, Virginia, Johnson City, Bristol, Blountville, Bluff City, Piney Flats, Elizabethton, Watauga, Unicoi, Jonesborough, Boones Creek, Midway, Flourville, Oak Grove, Summersville, Greeneville, Church Hill.